In 1995 we planted a north facing hillside vineyard with three different dijon clones of pinot noir (clones 115, 667 &777) on low vigor root stock (rootstock 420a) with the idea to delay bud break, increase hang time and acidity while keeping the vineyard’s yield exceptionally low. 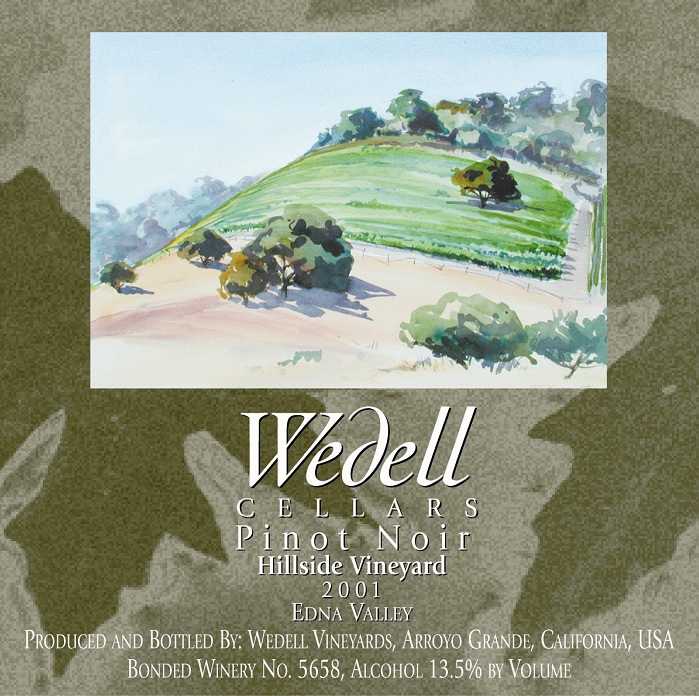 The 2000 Wedell Cellars Hillside Vineyard Pinot Noir, the first vintage produced from this vineyard has been widely praised in the wine press, with one wine writer stating that it could be easily mistaken for Domaine De La Romanee Conti while another remarked that it is one of the best Central Coast Pinot Noirs in memory. Our Hillside Vineyard was planted at a density of almost 2000 vines per acre, yet the yield from more than 2300 vines was only slightly more than one pound per vine. The already low vigor vines were crop thinned to one cluster per shoot and no more than four shoots per vine, the average cluster was less than five ounces! Our Hillside Pinot Noir harvests a week later, the sugars are more than 2 Brix lower and the acids are higher than the rest of Edna Valley. It is our belief that especially with Pinot Noir, most of the work is done in the Vineyard, our 2001 Hillside Vineyard Pinot Noir reflects this philosophy and the results are spectacular. The grapes after harvest were destemmed, the free run juice pumped off and discarded, the grapes then spent ten days on their skins fermenting, after which only the free run juice was placed in Demptos Alliers and Troncias New Oak barrels to age sur lies for twenty-one months. 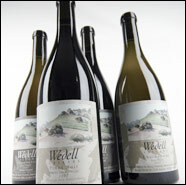 The wine was never racked, it was gravity bottled off its lees, unfined and unfiltered on June 12, 2002.